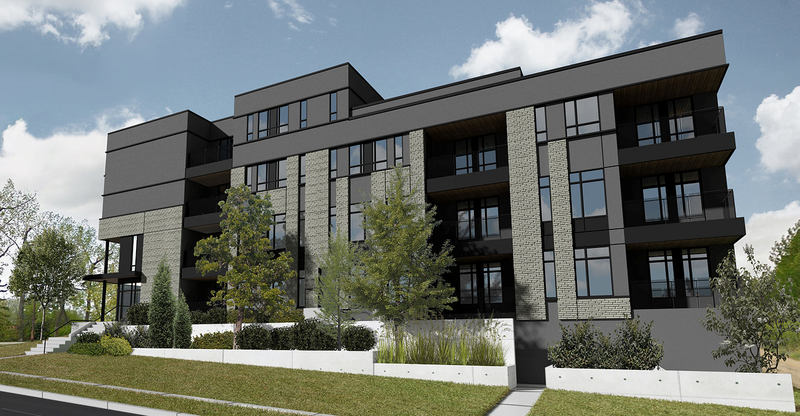 Vibe 14 is a modern building featuring 4 floors of 1-2 bedroom units. It features a smart design, great amenities, underground parking and to top it off, it is situated in the one of the best locations in SW Calgary - Marda Loop. Each unit is designed with the highest level of comfort, sleek aesthetics, and safety. It is time for you to think about how you will be spending that extra cash that you will be saving on your utility bills, as these units will be very energy efficient. You can now not only enjoy your indoor suite, but also the outdoors from your private balcony and all residents will also have access to the rooftop patio where you can enjoy the open air, entertain, meet your friends/neighbours all while taking in the stunning views the Calgary skyline. This urban design concept ensures that you have the ability to live privately while also allowing you the opportunity to be a part of a bigger community. Experience this great area where you can have the gorgeous views of downtown, parks, schools, and have access to all nearby walking trails. Vibe 14 is located near many amenities which makes life is about convenience and pleasure. You don’t want to miss out on the pre-sale prices of this stylish, high comfort and affordable building.